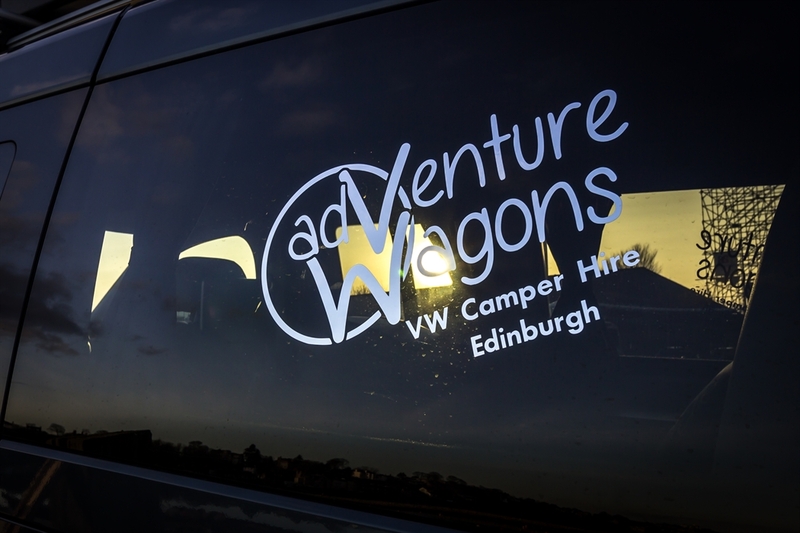 Welcome to Adventure Wagons Camper Van Hire! We are a friendly family run business based in Edinburgh close by the city centre. We are dedicated to helping you have a fantastic holiday in Scotland. 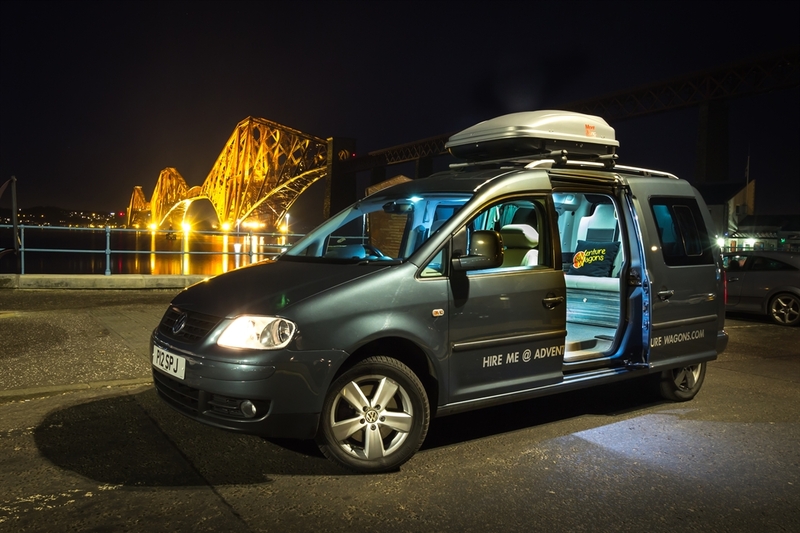 Our modern camper vans are perfect for exploring Scotland! 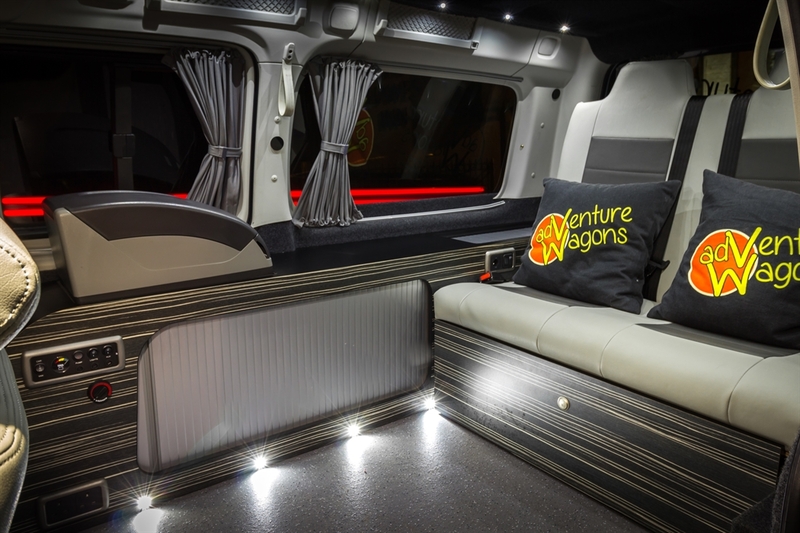 Our modern camper conversions are carefuly thought out and fitted to a high standard suitable for two adults. 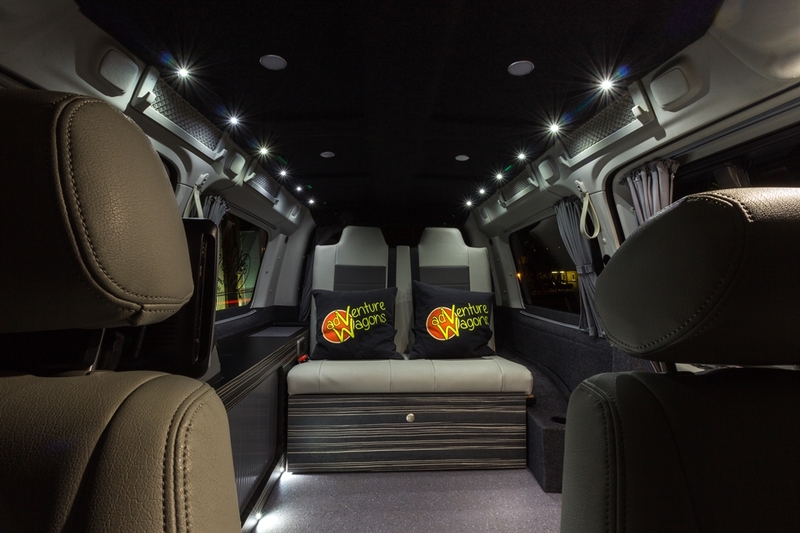 For 2018 we have two great vans for you to choose from. Our two VW Caddys are compact and ideal for driving on the "wrong side" of the road. Both are fitted with a DVD player, air conditioning, parking sensors, cabin heating and automatic transmission taking the stress out of narrow rural roads. 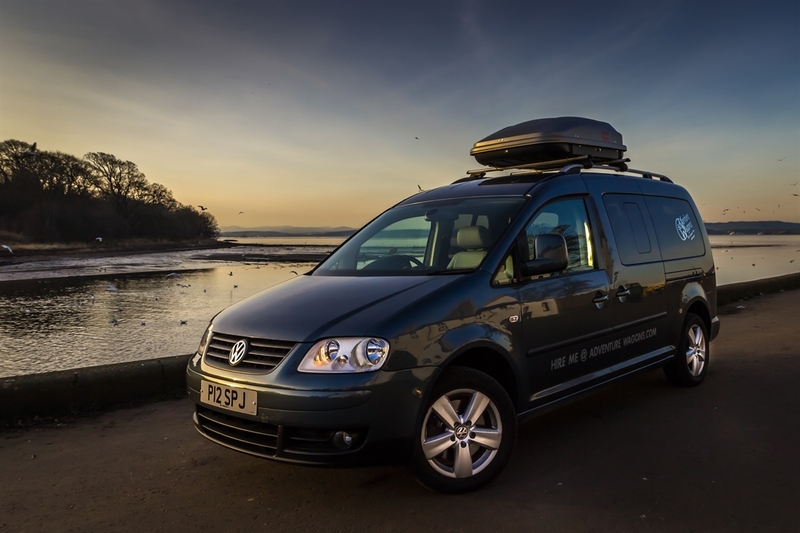 Whichever camper van you choose to hire from us we're sure you'll have a fantastic self drive adventure. We recommend you consider the North Coast 500 route as an exellent way to expore some spectacular scenery over five or more days. We look forward to hearing from you and helping plan your next adventure! You can find more information including availability on our website.